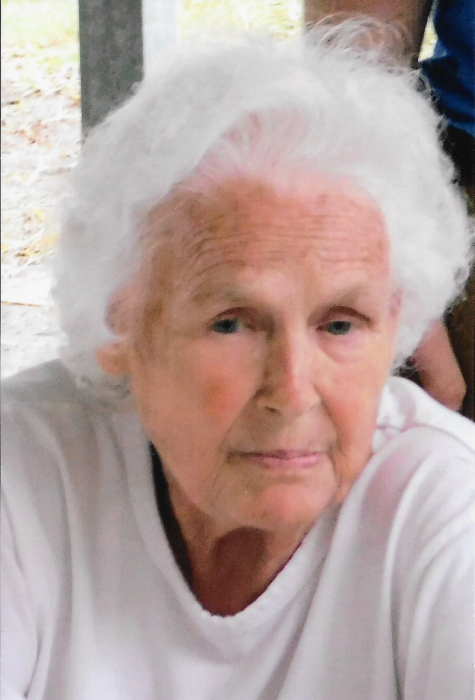 Ella French Langston, 81, of Kinston passed away Monday, March 25, 2019 at her home. She was a loving mother, grandmother, great-grandmother, sister and friend to us all. She is preceded in death by her husband Ernest Langston, Sr., parents Joel and Sarah French, brothers Carl, Ed, Gary, JK and Ronald French, sister Ann French Boyette and two grandchildren Evan Lee and Ean Lenn Langston. Ella is survived by her children Earl and wife Donna Hill, Wesley and wife Jessica Hill, Teresa Hill Moody all of Kinston, Curtis and wife Sylvia Hill of Deep Run and Ernest Jr. and wife Kim Langston of New Bern, nine grandchildren and five great-grandchildren, a special daughter-in-law Shannon and husband Jeremy Houghton of Grifton, sister Barbara and husband Laszlo Varga of Connecticut, special friends Sara and Richard Bostic, Faye Boyette and Amanda Dawson and sister-in-law Louella Rouse of Ernul. Funeral service will be held at Howard-Carter Funeral Home, Wednesday, March 27, 2019 at 6:00pm with visitation to follow. Burial will be held at Pinelawn Memorial Park Thursday, March 28, 2019 at 10:00am.